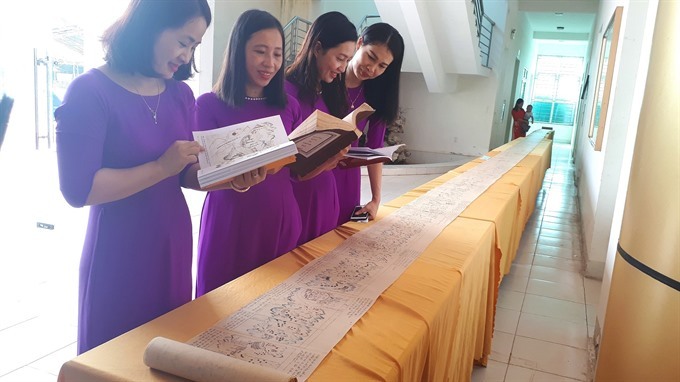 HÀ TĨNH — A ceremony to grant Hoàng Hoa Sứ Trình Đồ – Việt Nam’s historical maps dating back to the 18th century – a certificate of documentary heritage as part of UNESCO’s memory of the World Programme was held on Tuesday at Can Lộc District’s Nghèn Town in the central province of Hà Tĩnh. The documents, which chart an envoy’s journey to China, were given the status at the 2018 General Meeting of UNESCO’s Memory of the World Committee for Asia and the Pacific that took place on May in South Korea. Hoàng Hoa Sứ Trình Đồ (The Envoyship Journeys to China – literally translated as maps and itinerary of the envoy’s journey to China) belonged to the Nguyễn Huy family in the central province of Hà Tĩnh. With writings, drawings and maps, the book recorded the diplomatic relationship between Việt Nam and China in the 18th century through the journeys of Vietnamese envoys. It was compiled and edited by Nguyễn Huy Oánh (1713-1789) based on documents of previous envoys and historical records as well as notes from his own journey in 1766-1767, during which he worked as the main envoy of the Vietnamese delegates. The handwritten documents are also the only version of their kind being preserved by Nguyễn Huy family in Trường Lưu Village (presently known as Trường Lộc Commune in Can Lộc District). The maps inside are drawn with three colours on 30x20cm dó (poonah) paper with notes in Chinese characters. The documents consist of seven parts, the main of which is the 204-page itinerary detailing the nature, people, citadels, villages, relics, landscapes and communicative activities between the envoy, the citizens and local authorities. 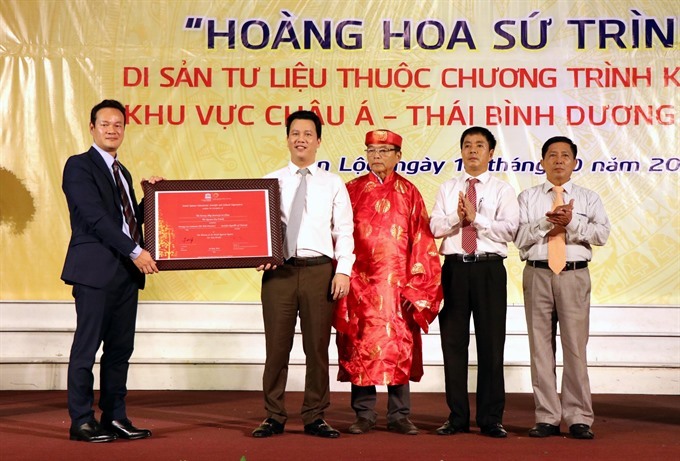 Professor Nguyễn Huy Mỹ, a descendant of Nguyễn Huy family, expresses his gratitude to the authorities on introducing his family’s heritage to the world. Earlier, a variety of cultural activities and exhibitions had been held within Trường Lộc Commune to introduce Hoàng Hoa Sứ Trình Đồ to both locals and visitors.